Who is a Hotel Wholesaler? Who can Access those Deals? A hotel wholesaler is not very different from a wholesaler of any other product. Any company that buys a product in bulk will get a reduced price per unit. You can do so as an individual as well. If you need a large number of rooms in a hotel for a scheduled period of time, then you can always negotiate with the manager of the property and get a great deal. Such deals are usually not available online. The prices available online are generic. The discounts are standard. There is no special deal. You would find dozens of websites offering the same prices. The tariffs or the discounts would not be special if everyone seems to have the same propositions. The difference between a wholesaler in any industry and a hotel wholesaler pertains to the inventory. A normal wholesaler may be able to run a successful enterprise by procuring one or a few products in sufficient bulks to get the pricing advantage. A hotel wholesaler cannot do so with just one hotel or a few properties. A hotel wholesaler must have a network of hotels, resorts and other types of properties. The network should be vast enough to span a city, state, and country if the operations are limited to domestic travel. The network should be continental or global if one has to cater to international travel. Individuals or even small to medium enterprises in the travel & tourism industry would not be able to secure bulk bookings at hundreds of hotels. The core expertise and area of specialization of a hotel wholesaler are hence quite different from similar enterprises in other industries. Only a genuine hotel wholesaler will have a network vast enough to be relevant for all kinds of travelers. Such a hotel wholesaler will be able to make fascinating prices available to individual travelers, travel agencies or professionals, businesses or corporate entities, government agencies and nonprofit organizations. Whether or not you can access the deals available with a hotel wholesaler will depend on the policy of the company. A hotel wholesaler may choose to entertain requests from travel agencies or professionals and not individual travelers. A hotel wholesaler may deal exclusively with businesses looking for corporate travel discounts and no other entities. 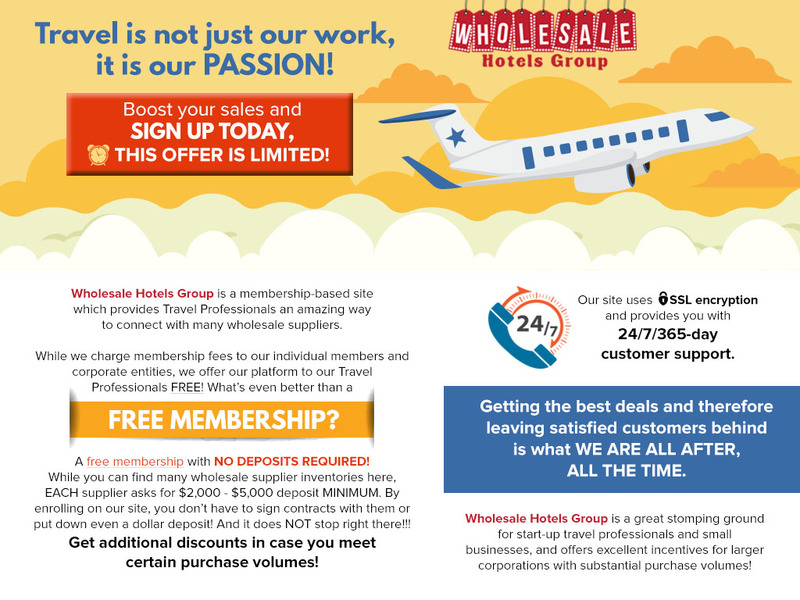 Only a few companies such as Wholesale Hotels Group – a wholesale travel club – offers amazing deals to individual travelers, travel agencies and professionals, business entities, governments and nonprofit organizations. Pay with your Credit Card and earn points or miles for yourself! No extra credit card processing fees! 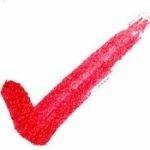 We work with the vast majority of wholesale suppliers, so you don’t have to search their inventory separately. YES, one search and that’s all; the rates from all of our contracted wholesale suppliers will be in front of you right away! 100% transparent pricing, what you see is what you pay with us!